Today we're remembering how incredibly breathtaking the mountains are in winter. 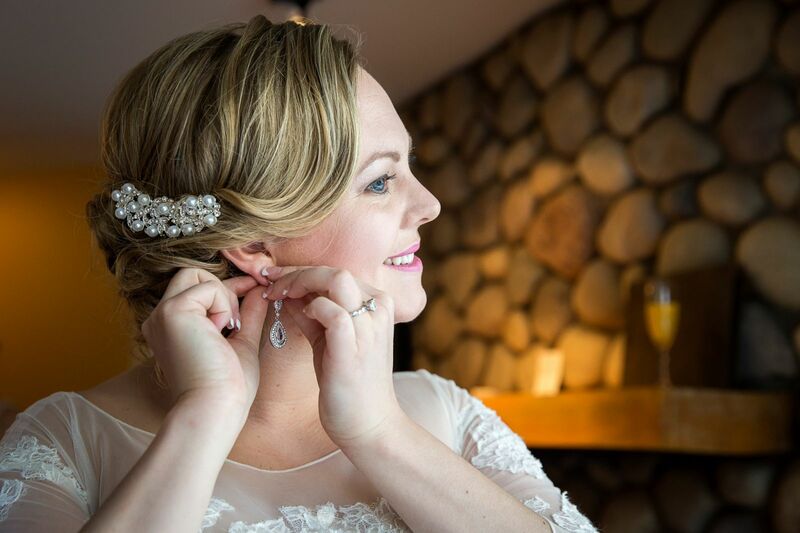 One of our favourite Banff wedding photographers, Kim Payant Photography, is taking us on a beautiful visual journey of a perfectly elegant winter wedding at Buffalo Mountain Lodge in Banff, and it is simply amazing! 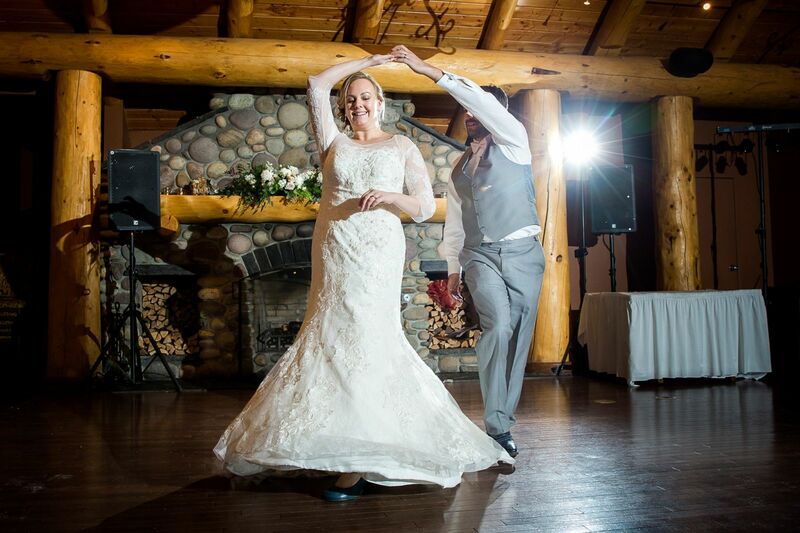 Keely and Alan met in a hospital as she was starting a new job and Alan was working in the same clinic. 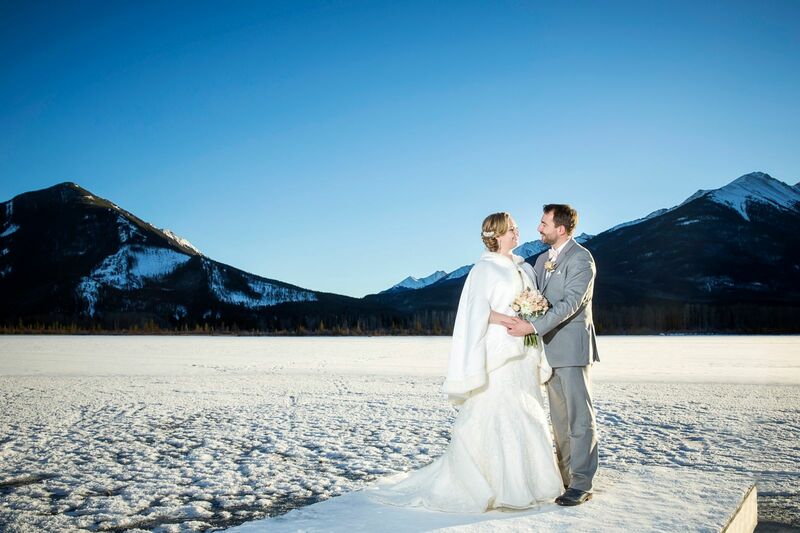 Their relationship developed into something more than work acquaintances and before long they were headed off to Jasper for their first date. Ever since that first date, the mountains have had a very special place in their lives and their relationship. 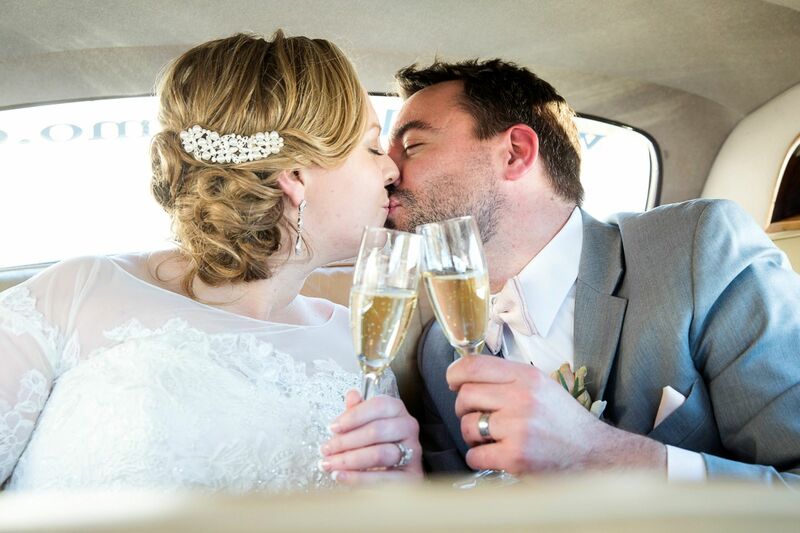 When Alan was planning their engagement, he knew it had to be incredibly special! 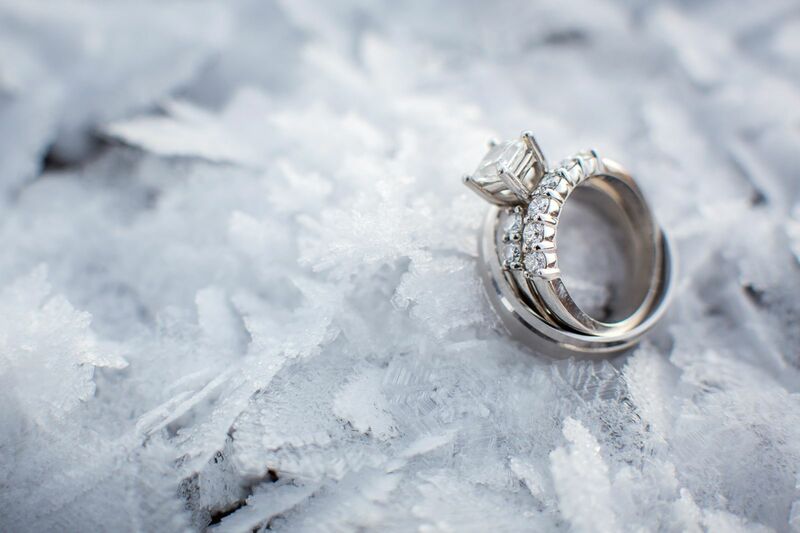 He decided to use their trip to England as the perfect time to propose. 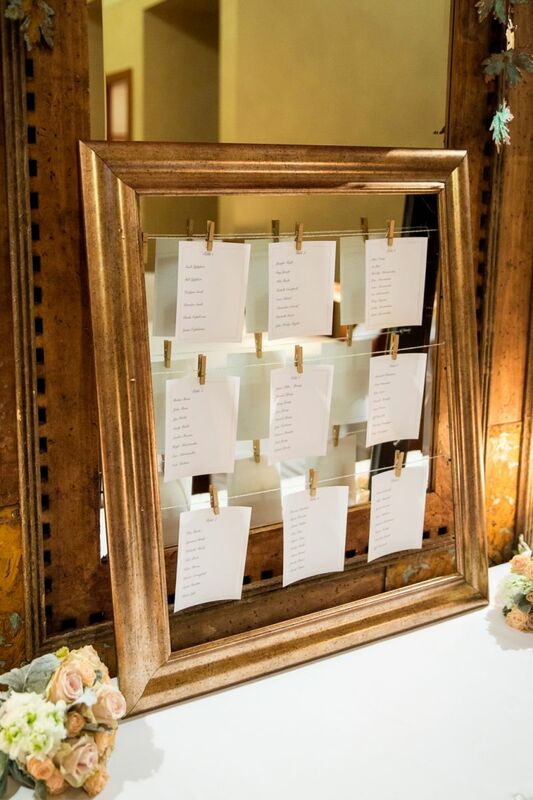 While they were travelling in England they stayed at a beautiful manor house by the Thames. 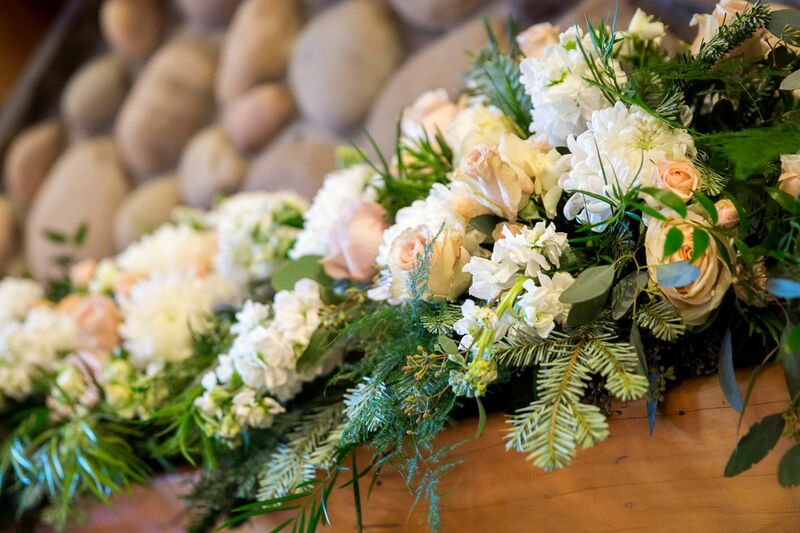 Alan had a bunch of beautiful flowers delivered to the room one morning and then he suggested that they go for a walk beside the river. 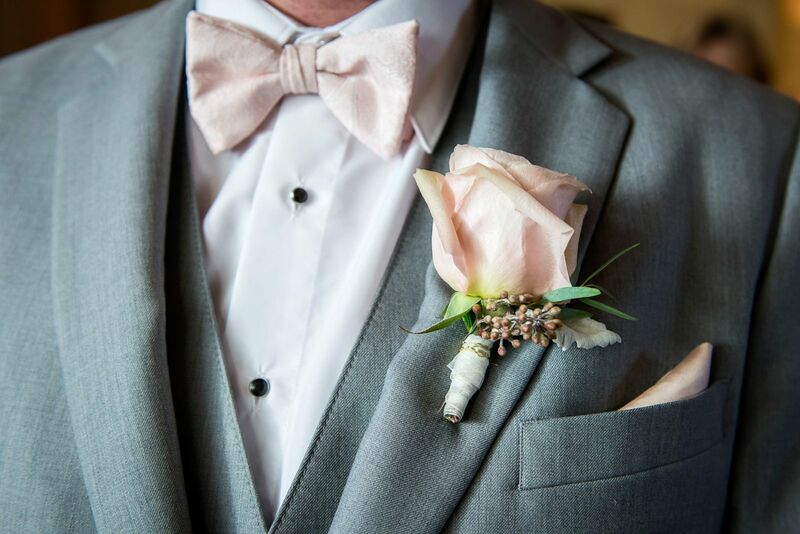 On the path beside the river, he started playing "Have I told you lately" on his iPhone, and then presented Keely with the most beautiful ring. 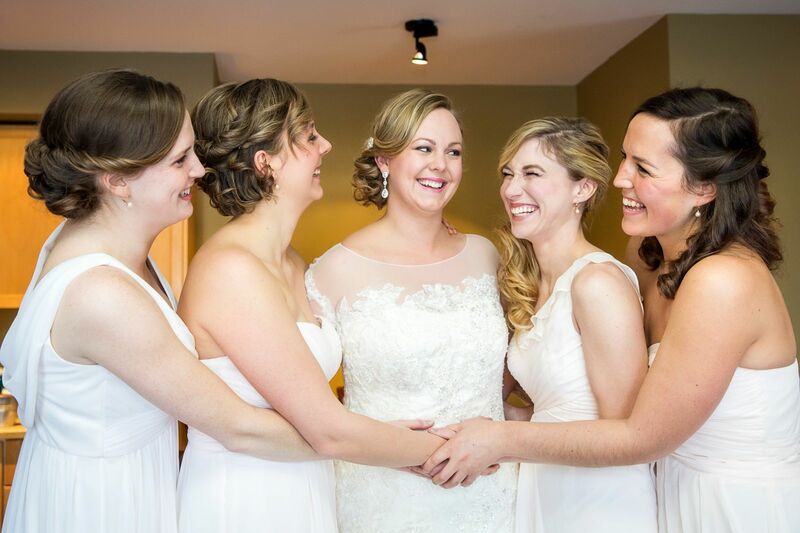 Of course she said "yes!". 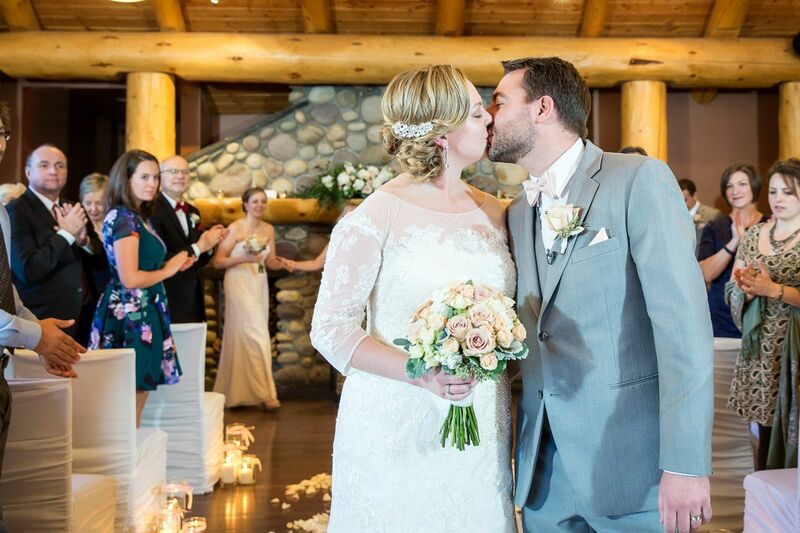 With a love for the mountains, Alan and Keely decided to get married in Banff and quickly fell in love with the rustic beauty of Buffalo Mountain Lodge. 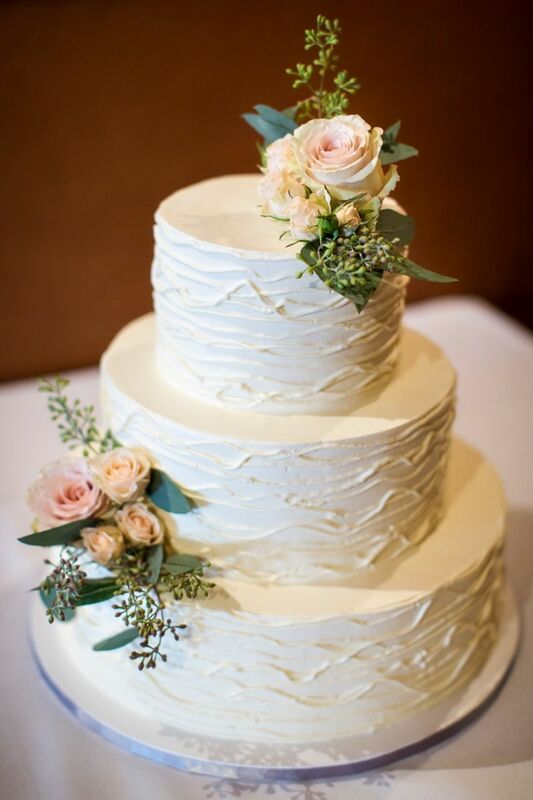 They had originally planned to get married in the fall but in the end moved their date to January 2 and celebrated the New Year by tying the knot! 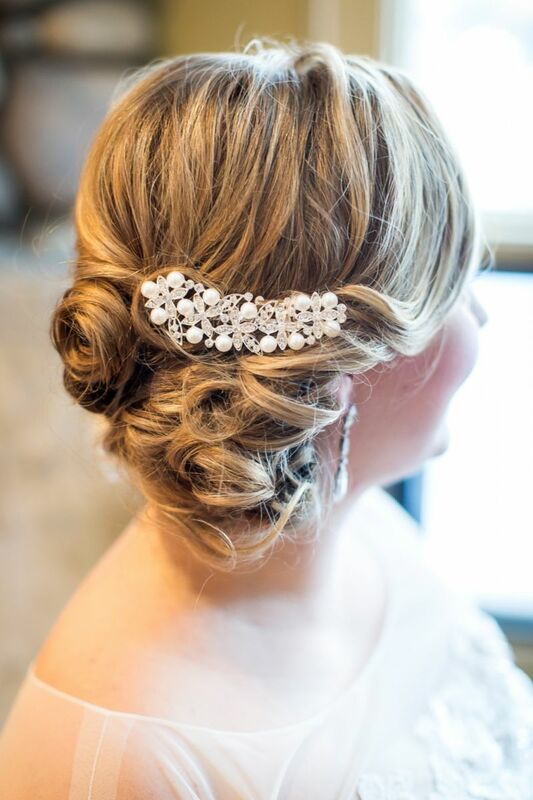 Keely brought in a talented team to help with all of their hair and makeup and to help make the morning relaxing and effortless. 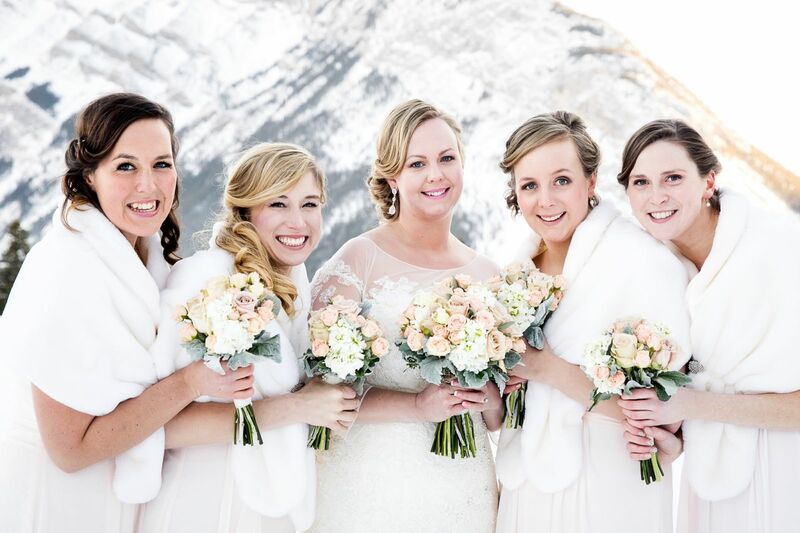 Banff makeup artist and hairstylist, Mountain Beauties came to their hotel and created the soft and elegant wedding look for Keely along with all of her beautiful bridesmaids. 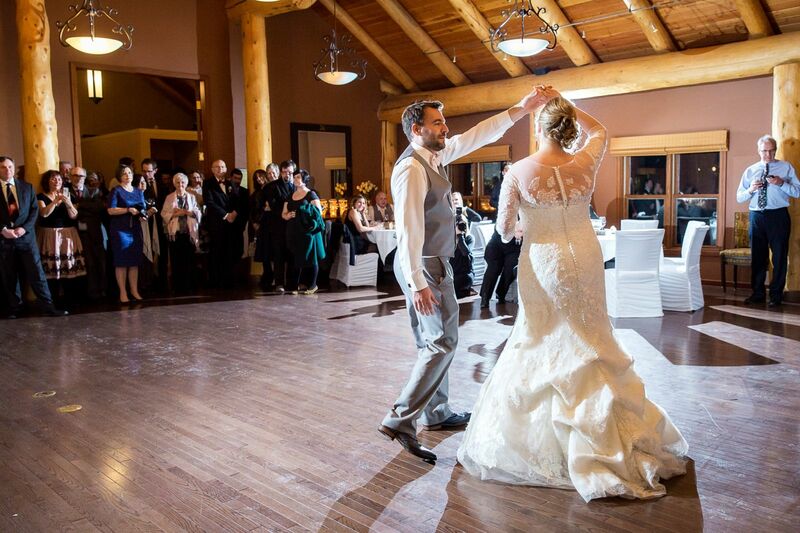 Buffalo Mountain Lodge is a very distinct and beautiful Banff wedding venue located on Tunnel Mountain. 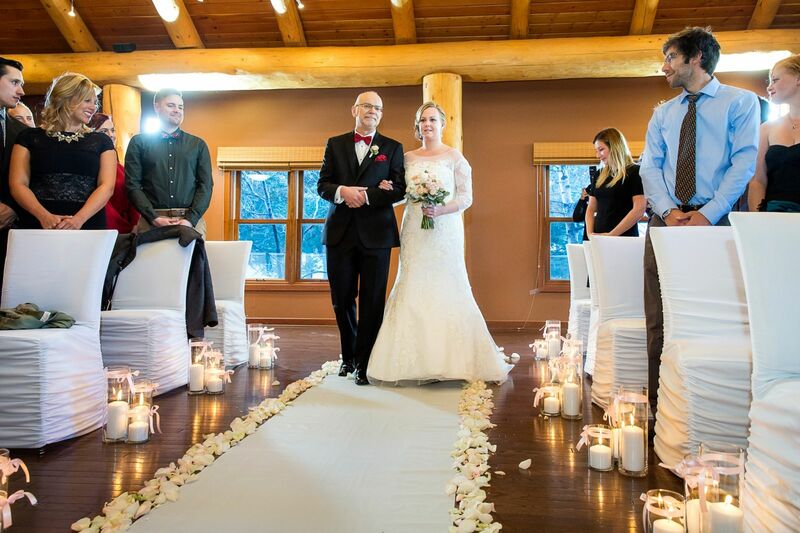 It's a peaceful mountain retreat surrounded by towering fir, pine and spruce trees that feels totally removed from the town of Banff. 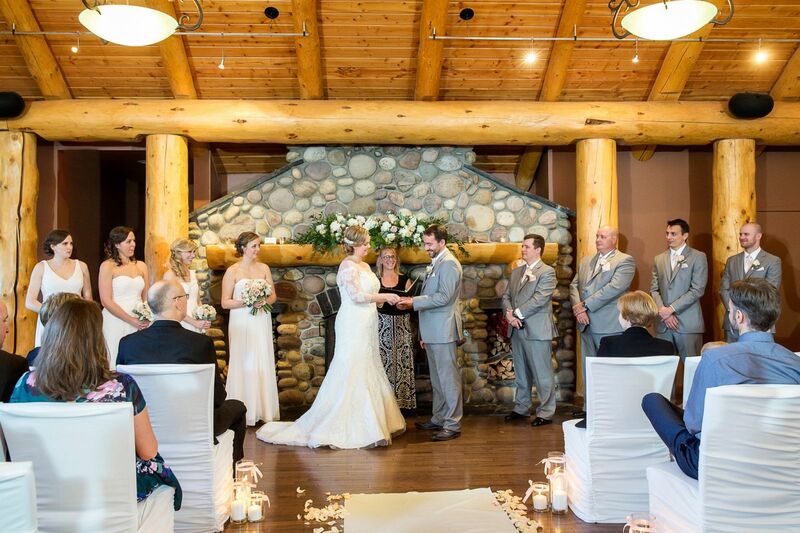 The main lodge is built with hand-hewn timber and Keely and Alan decided to get married right in front of the massive fieldstone fireplace with a blazing fire and candles down the aisle. 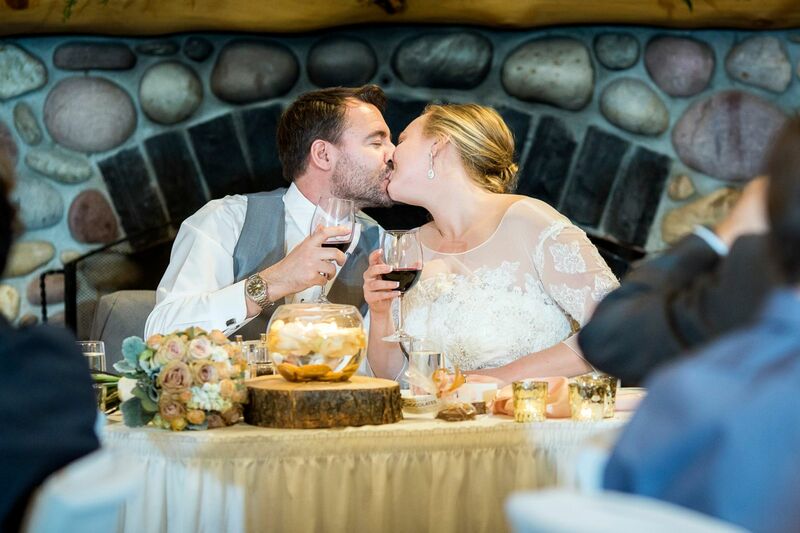 As the fire roared and their closest family and friends supported them, Keely and Alan proclaimed their love for each other with personal vows they had each carefully written for this incredible moment in their lives. 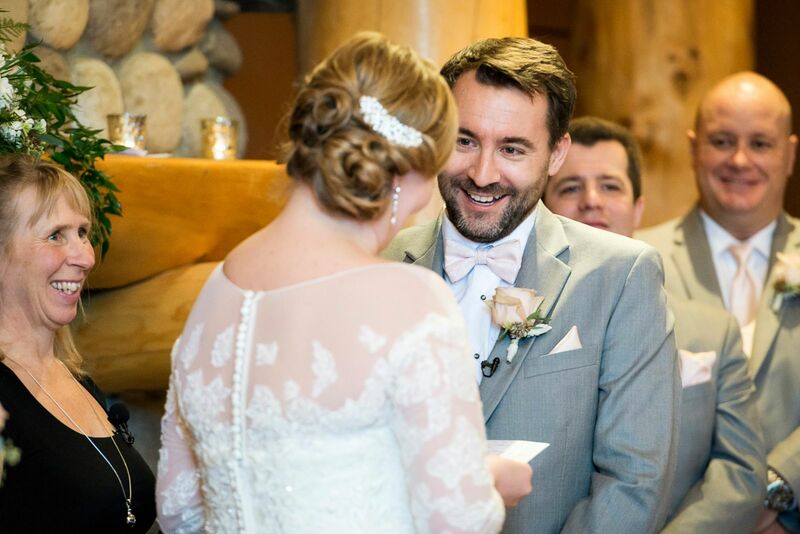 They wanted to share the magnitude of their love for each other and make this moment incredibly special, and it turned out perfect. Thankfully the weather wasn't crazy cold, even though it was January! 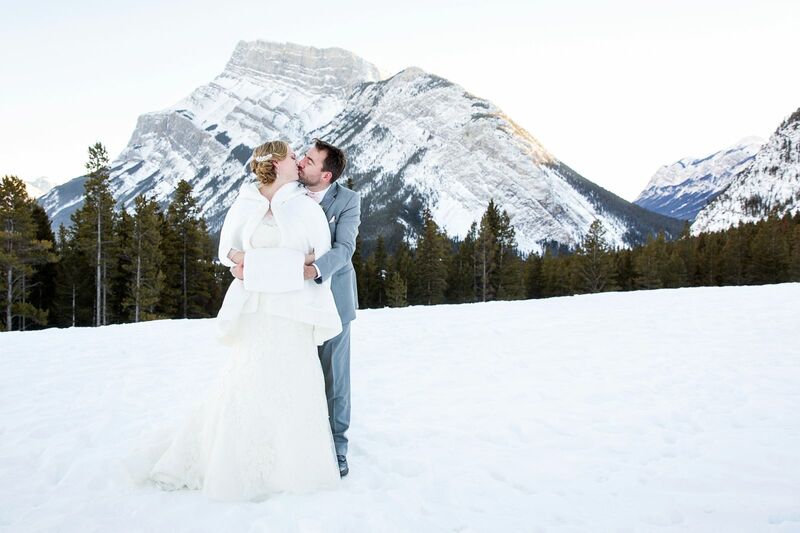 Everyone was willing to brave the outdoors for photos and Banff wedding photographer, Kim Payant worked her incredible magic as she captured the golden beauty of the mountains as the sun began to set. 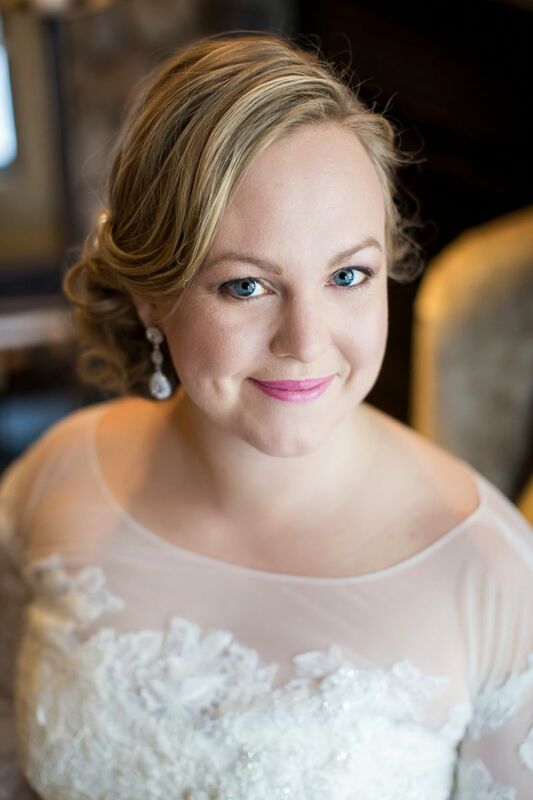 Kim has an amazing talent at helping people feel comfortable in front of the camera and her natural and artistic images always catch our attention! 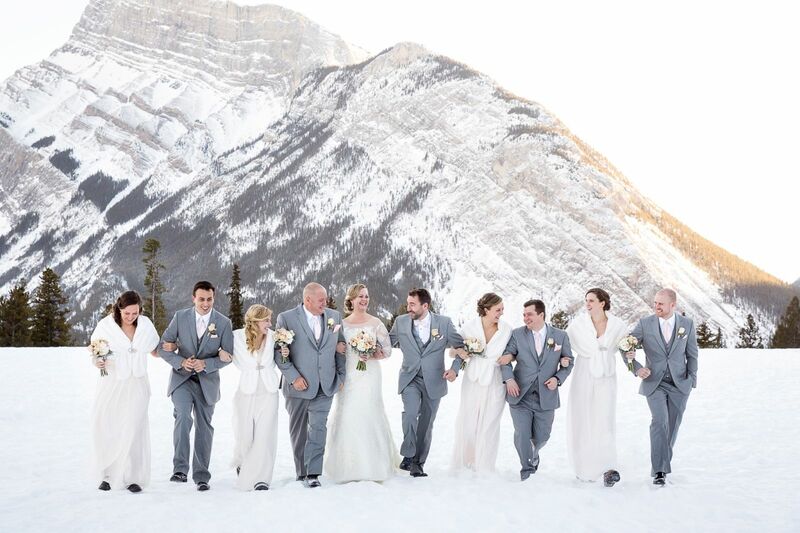 A huge thank you to Kim Payant Photography (Banff wedding photographer) for sharing all of these beautiful images with us today, letting us enjoy this gorgeous wedding and remember how incredible the mountains are throughout the winter. 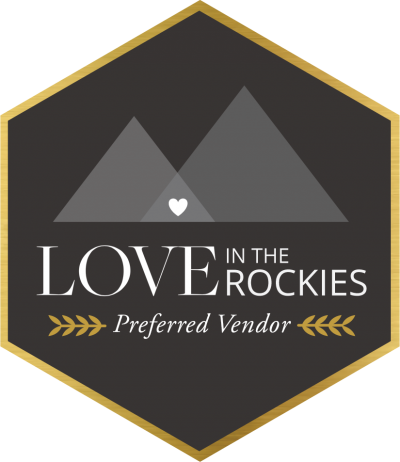 Kim is a member of our recommended mountain vendor directory and a photographer you must be sure to check-out as you plan your wedding!